Research commissioned by BBC Worldwide, the commercial arm of the Corporation, designed to discover what people think about British television around the world, ahead of BBC Worldwide Showcase, suggests that British humour is the most popular reason for international audiences to switch on British TV shows. The quality of content is the second most popular attribute, followed closely by the love of a British accent. 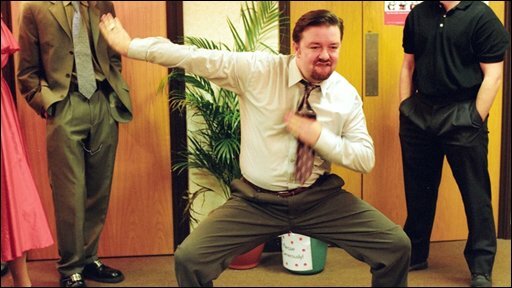 When asked to select which three things they loved most, British humour triumphed as the number one reason why people tuned in across the globe, with half of Chinese respondents selecting this as their most popular choice. It was also the number one reason cited by Australians (48 per cent), Americans (32 per cent) and Germans, with German men in particular (50 per cent) expressing a liking for the British sense of humour. The quality of British TV proved the next most popular choice overall, with over a third of Indians (36 per cent) showing a high appreciation for the shows. Americans, Australians, Mexicans, French, Russians and Italians also listed quality as one of their top three most popular likes. Mexicans (31 per cent) revealed it was the love of a British accent that enticed them to British shows, with Americans (31 per cent) Indians (24 per cent) and Italians (23 per cent) selecting the way Brits talk as their second choice. The Japanese and Russians were not in agreement though, with only 5 per cent switched on by the British twangs. Quintessential British characters also drew admiration across the seas, with over a quarter of Chinese declaring their love for an English gentlemen or rose. This was also selected as a popular choice amongst the Japanese and Mexicans, with Mexican women in particular more in favour of these characters than their male counterparts. Similarly, almost a quarter of Indians confessed their appreciation of a British love scene followed by the Mexicans who put this as their third most popular choice. The French, however, ranked the Brits saucy scenes at the bottom of the list (4 per cent), with Italians also believing that British love scenes leave much to be desired. When it came to food shows, over a quarter of Chinese and Indian respondents revealed a surprising appetite for British cuisine, while only 8 per cent of Americans, 5 per cent of French and 4 per cent of Japanese claim to be hungry for cookery demonstrations from British kitchens. Original British dramas, British actors, presenters and car shows were also selected as the highly placed things people love about British TV the world over, with nature and science programmes also mentioned. A number of respondents in countries including Italy, China and Russia said that British TV shows were better than shows from their own country. Similarly, 20 per cent of Australians claimed that British shows were better than American shows although unsurprisingly only 4 per cent of Americans agreed with this statement.